The research is conclusive across the nation; a growing portion of the population is looking for moderation when it comes to the price of funeral and cremation service; including more simplicity when it comes to services. There are many traditional funeral service providers in Eastern North Carolina, but they are not able to give a variety of choices when it comes to price and flexibility. In contrast, the old-line funeral homes are still trying to tell the consumer what they need rather than listening to what they want. 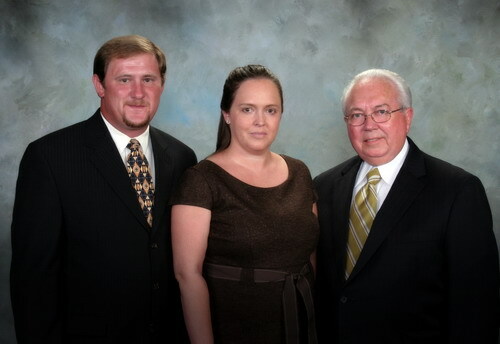 Elliott Futrell, Elizabeth Futrell and Jonathan Lane, life long residents of Wayne County, established Evergreen Memorial Service in 2007 with the hope to offer substantially reduced pricing and attractive service packages with the focus being on church hosted visitations and funeral service. Churches have gathering and worship spaces with adequate seating, as well as parking. Evergreen Memorial Service believes the church is the most appropriate place for services of a religious gathering. Evergreen Memorial Service can offer substantially reduced pricing without the overhead expense of a million dollar location where directors attempt to pass along to its consumers the cost to disguise the owning and operating such a place. Evergreen Memorial Cemetery was founded in 1962 by Esrom McLamb and his wife Lena Pope McLamb. After their deaths, the estate sold the cemetery and Elliott Futrell was one of the partners that purchased the cemetery.